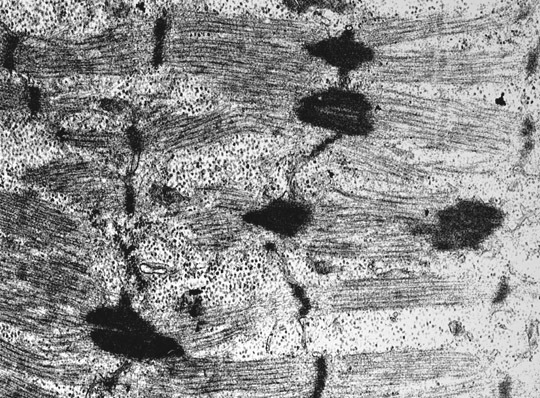 Cite this page: Hiser W. Nemaline Myopathy. PathologyOutlines.com website. 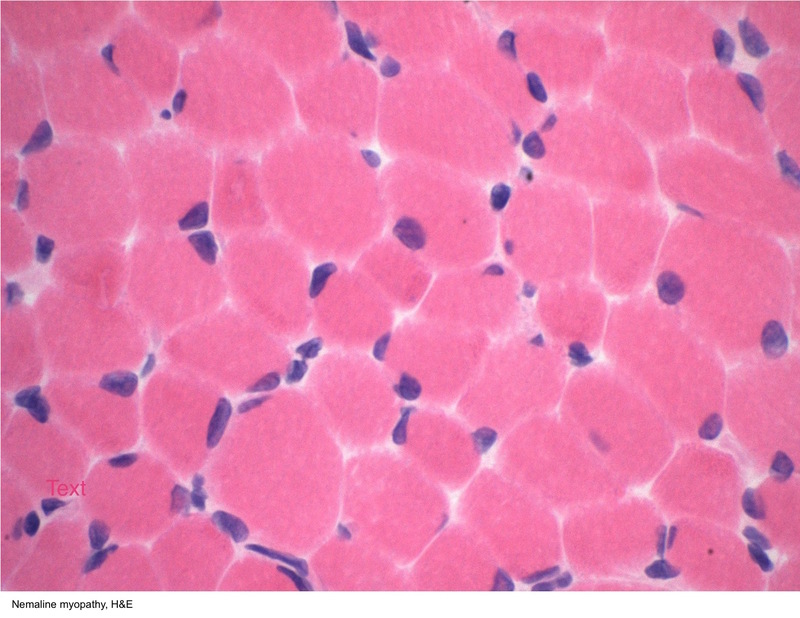 http://www.pathologyoutlines.com/topic/musclenemalinemyo.html. Accessed April 23rd, 2019. 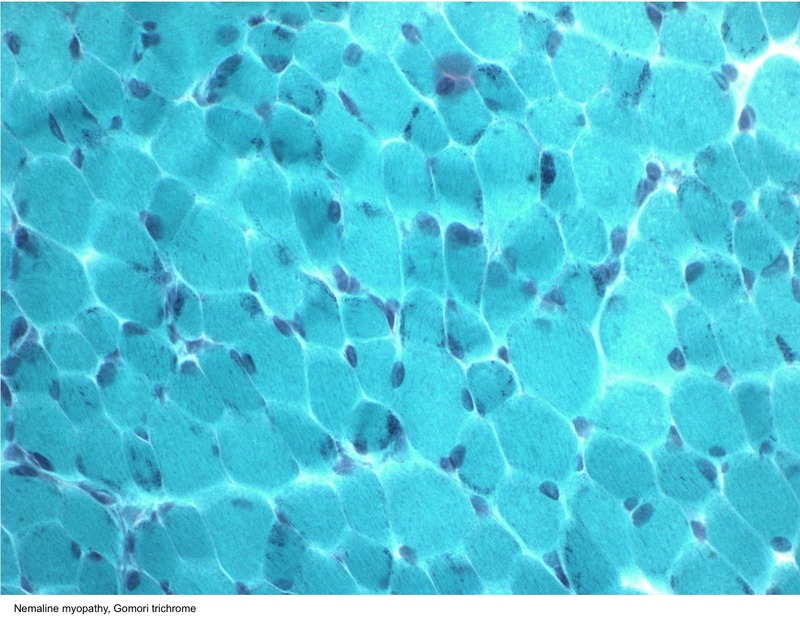 In which gene are de novo mutations most commonly associated with nemaline myopathy? 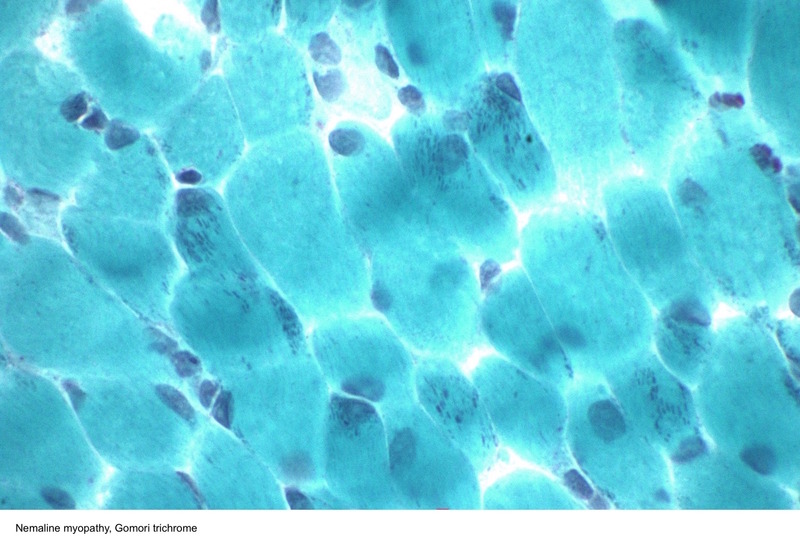 De novo mutations in ACTA1 are the most common cause of nemaline myopathy. Mutations in NEB are the most common cause of autosomal recessive nemaline myopathy.